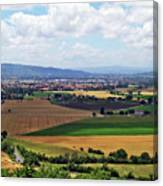 Marvelous composition on Nature too flower.. + L f G+ ..
"Countryside View From Assisi Italy" by Debbie Oppermann. 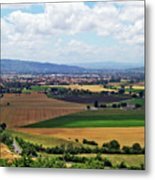 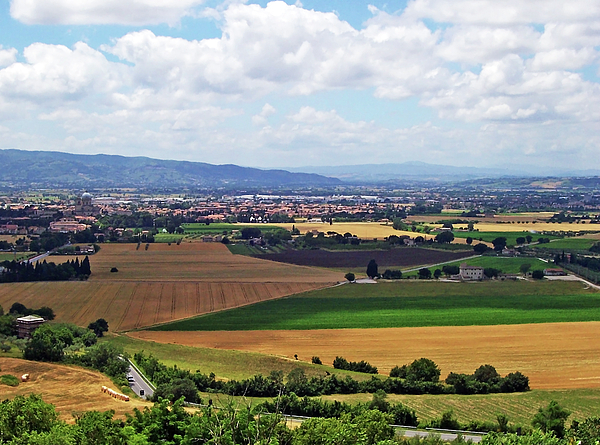 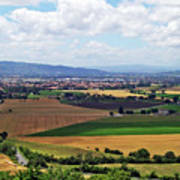 This picturesque view from the hilltop town of Assisi Italy, Umbria region, in the province of Perugia, is just beautiful. 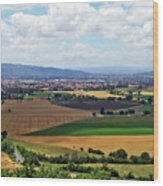 Rolling hills, green grass, golden fields and a city in the distance all combine to make this a wonderful image of rural Italy.